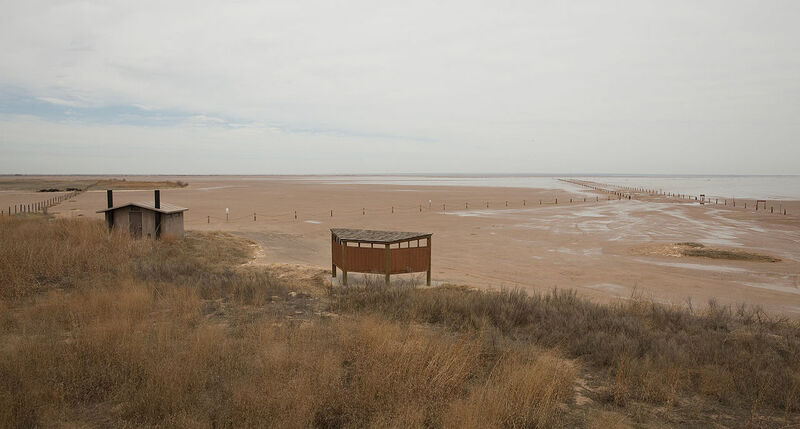 Location: Salt Plains National Wildlife Refuge, At Salt Plains NWR south of State Route 11 northwest of Enid. Adjacent to the refuge headquarters, the trail gives visitors the opportunity to enjoy a wide variety of wildlife and habitats. The trail is open year-round and allows visitors a chance to see the wildlife of Eagle Roost Pond and Sand Creek Bay. Salt Plains National Wildlife Refuge. Photo by Leaflet.